A well-placed, proper functioning downspout is essential to your home’s rain gutter system and how it functions. Downspouts, the extension of your gutter system that usually runs down the wall, are prone to getting damaged by being knocked, bumped, and jostled. Not only do broken downspouts look bad, but they mean your gutter system won’t be able to do its job properly. 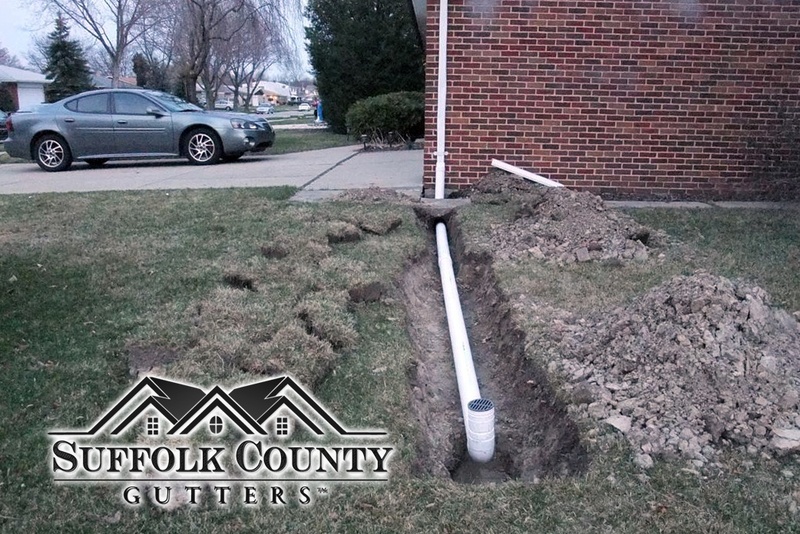 Allow the brothers at Suffolk County Gutters install your new downspout extension to ensure that collected water goes where it’s supposed to – out. Not all gutter downspout extensions are the same. While there are many great products on the market today, there are several that don’t get the job done, leaving you with clog after clog. Among the several quality downspouts available, some of our favorites are the copper downspouts. Not only is a copper downspout extension attractive visually, but the quality material is durable. At Suffolk County Gutters we are happy to provide you with a gutter consultation! We will take inventory of your current system, recommend repairs or replacements, and provide you with exceptional service from beginning to end. So whether you need your downspout cleaned, repaired, or replaced, Suffolk County Gutters is here to help!